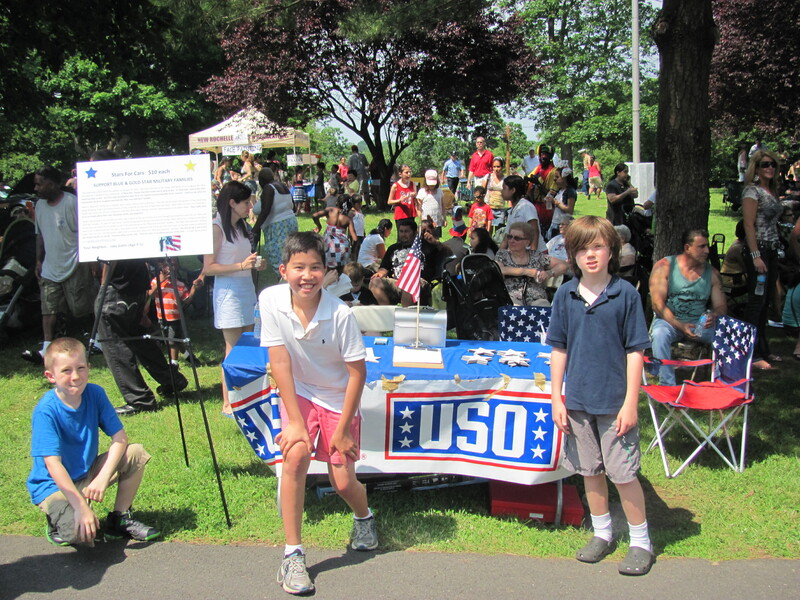 New Rochelle was the place to be on Memorial Day! The day began with an Appreciation Breakfast at 8:00 AM at the American Legion Post at 112 North Avenue. 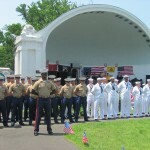 At 10:30 AM our community met at the Memorial Plaza for the Memorial Day Ceremony. 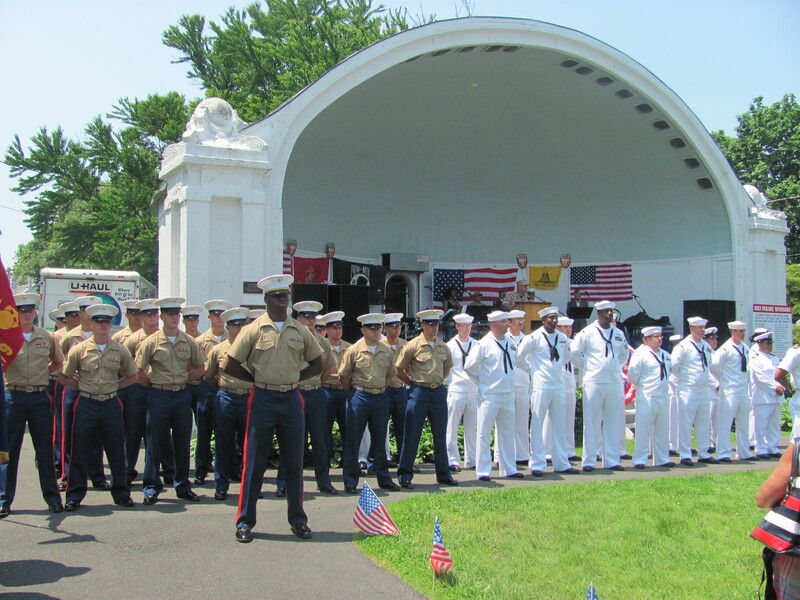 The Memorial Plaza is behind the New Rochelle Public Library and around the corner from the American Legion Post 8. It was important to attend especially this part of the day because we honored our Fallen Warriors. There were several speakers including Mayor Noam Bramson and Mr. Peter Parente. The parade started around 11:00 AM and then we went to Hudson Park. At Hudson Park a Lost at Sea Ceremony took place. Hudson Park is exquisite. The rest of the day was very exciting! 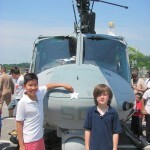 There was a BBQ from AJ’s (the sliders were delicious), The Liberty Bells, and even a helicopter! There were soldiers and sailors there from the USS WASP. 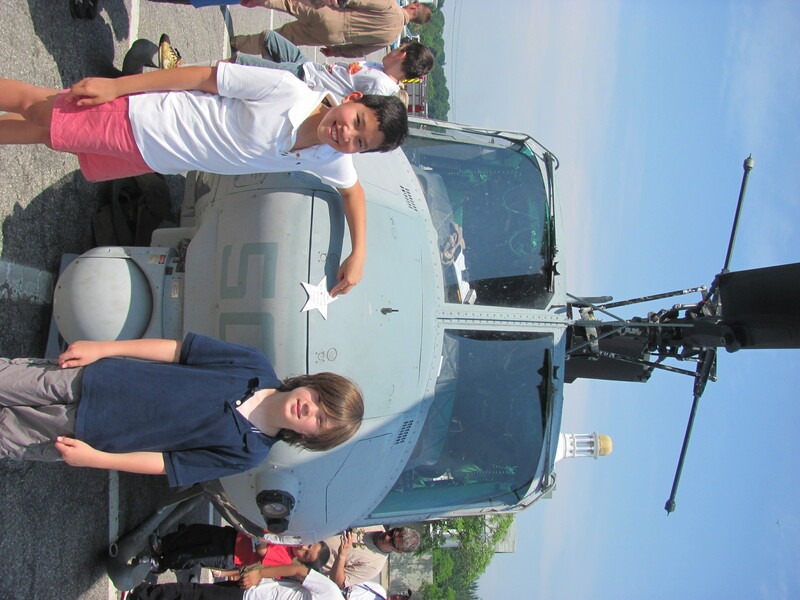 They were in for Fleet Week. Toward the end of the day, there was a girl who sang with a very unique voice. I liked her tone. Chevrolet was a big sponsor and they supplied the cars for the parade. My friend and I sat in a Camero and three Corvettes! Most importantly, I got the word out about the “Blue and Gold Star” Military Families. Mr. Peter Parente works hard to organize the parade each year. This was the fifth year of the event. 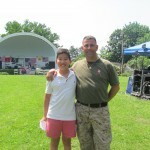 Mr. Parente is one of our nation’s “One Percenters.” He served in the United States Marine Corps for eight years. 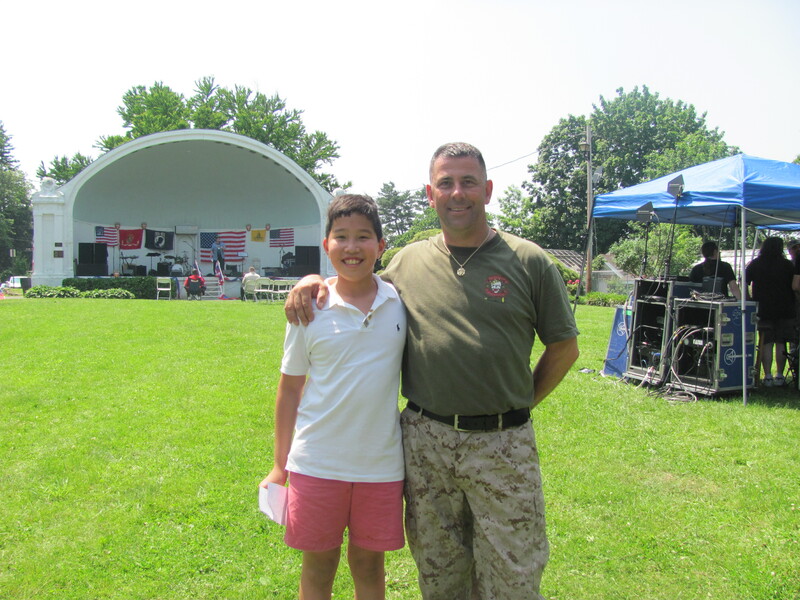 Mr. Parente wanted everyone to know that “All Military Personnel will be considered VIP status.” If you see a “One Percenter” at a parade or in everyday life, you need to thank them for their service and dedication. Just to remind you, I made up the name “One Percenter” after learning from Our First Lady, Michelle Obama, and Dr. Biden that only 1% percent of our nation protects the other 99% of our nation. Aren’t you astounded at that statistic? Memorial Day is important because it is a day specifically set aside for our servicemen and women who have died in service to our nation. It was originally called “Decoration Day.” For more information on the history of Memorial Day and also Memorial Day Traditions (such as how to display the Flag and the meaning behind Memorial Day Poppies), please visit www.pbs.org/memorialdayconcert/meaning and also see usmemorialday.org/backgrnd.html. If a kid my age really wants to know about Memorial Day, they should ask a veteran. Mr. Parente was nice enough to allow us to sell our Stars for Cars decals at Hudson Park. 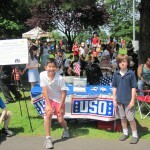 My friends Griffin and Nick from Ward were a big help. We appreciate everyone who stopped by our table. Mr. Parente was so generous as he allowed me to make a speech later in the day. I will post it on the next blog. I liked seeing all of the other tables. The table next to ours was from Habitat for Humanity. They do a lot of great things in our community for people who really need it! They were passing out an article I was going to discuss on my blog a while ago. I have a few topics saved up and that was one of them. You should check it out. The article was written in the Real Estate Section of the New York Times. The article is about how Habitat for Humanity helps veterans buy homes. Go to www.nytimes.com/2012/05/13/realestate/westchester-in-the-region-welcome-home-houses.html?_r=2. Besides Mr. Parente, all of the veterans, “Blue and Gold Star” families, and my friends who helped sell Stars, I would also like to thank Ward Elementary School. I was given permission to hang a large sign that I made asking that students and adults to attend the parade and support our servicemen and women and their families who need our help. They need to know that we care. Please don’t forget what Memorial Day is about.